It is a way of life for many, sucking off the government funds. 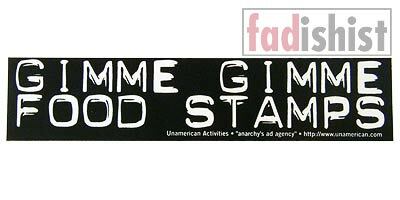 Show your disdain for food stamps with this sticker. Buy a handful and maybe you can give them a new home at your local Department of Social Services. This sticker is about 8 inches wide and 1.75 inches high. In our many years online, we've had 5,122,946 sets of human and robot eyes examine our website.